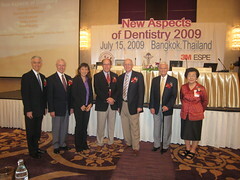 I just came back from Bangkok last week,after attending a conference organised by the Dental Association of Thailand and sponsored by 3M Espe,entitled New Aspects of Dentistry 2009. It was a really good conference with a team of excellent speakers lead by Dr Gordon Christensen,who is one of the authorities in current-day dentistry.There was so much to learn from them.Unfortunately,with the current threat of the AH1N1 flu,the number of participants from the region was not very encouraging,which was a great pity. Posed for some pictures with the 5 esteemed speakers and the president of the dental association of Thailand. 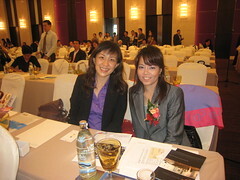 The 3M Espe head of dental division,Khun Jirawan,extended me warm Thai hospitality and I truly appreciated that. Actually the highlight of my Bangkok trip was THIS….food,glorious food!!! To my delight,dear hubby agreed to take a few days off his work and accompanied me on the trip,”to be your bodyguard”,he said. After all the food that we had indulged in,we attempted to burn some of it off by doing the 10km run in the Siemens Run over the weekend,back in Kuala Lumpur. Here we are with some of our running “kaki”s (groupie). Children in their early years will inevitably be prone to some kind of knocks or falls. In these early years,the milk teeth are very closely related to the permanent teeth which are forming within the jaw bone. 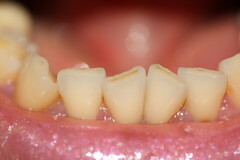 Any injury to the milk teeth,usually the upper front teeth, during these formative years can affect the development of the permanent teeth.The result can vary depending on the severity of the trauma to the milk teeth.The permanent teeth will possibly be affected aethetically ,usually in the form of some changes in the colour or surface texture .This will only be visible when they erupt in the mouth of a child around the age of 7 or 8. More serious injuries are where the milk teeth become embedded into the gums or where the milk teeth completely avulse from their socket. 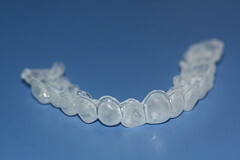 Milk teeth that are completely knocked out should not be replaced. What we need to be even more aware of is ,when the permanent teeth (usually the front teeth)suffer some sort of traumatic injury,we need to know what to do.This often occur in children between the age of 7 to 12. The most important thing to do is to consult a dentist IMMEDIATELY after the incident occurs. The sooner,the better.It is of utmost importance that any traumatic injuries to the permanent teeth be examined,diagnosed and treated conservatively in the first few hours following the injury as it will affect the long term prognosis of the the tooth/teeth. Following the initial treatment,your dentist will need to folow up on the treated tooth for a number of years to prevent future complications. 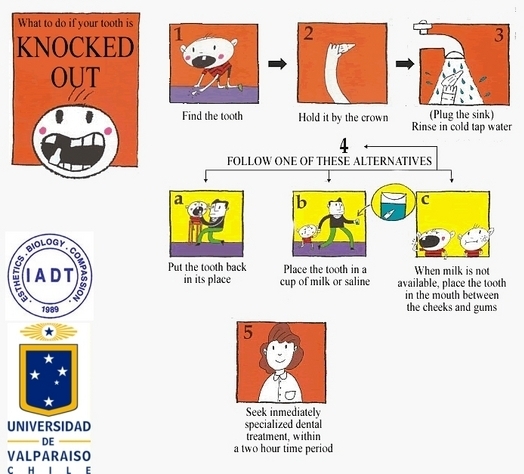 The International Association of Dental Traumatology has come up with some simple guidelines and diagrams to help us understand the basics of what need to be done in the event of an injury to a child’s permanent tooth. Recover the broken piece or pieces of the child’s tooth and place it in a cup of milk or clean water and bring it to the dentist for it to be repositioned,which is the most conservative option. In the event that the tooth is completely knocked out,pick up the tooth by holding the crown portion and not the root portion and rinse any debris off it under running water. Then try to put the tooth back in its socket and bite down on it with a hanky or tissue paper and go to the dentist immediately. If you are unable to put the tooth back in its original position,place it in a cup of milk or saline to keep it moist and go the dentist immediately, If you are unable to find milk nor saline,the tooth can be held in the child’s mouth but please ensure that he or she does not swallow it! The key message is,GO TO THE DENTIST IMMEDIATELY following a traumatic injury to the permanent teeth.